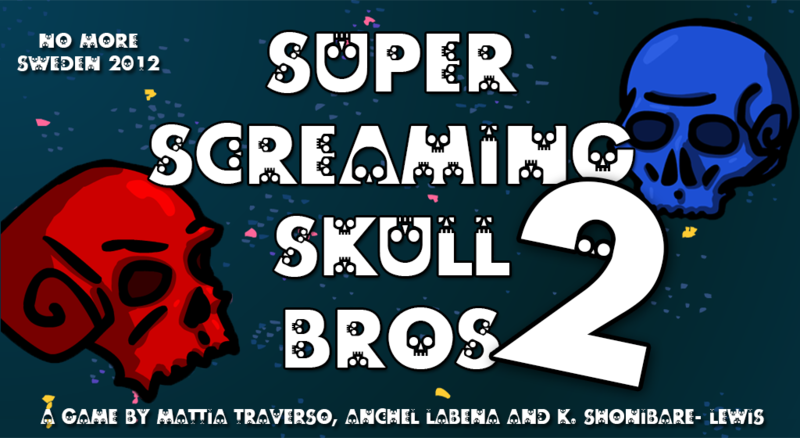 Super Screaming Skull Bros 2 is a co-op survival game in which two players will have to stand up against the incoming swarms of flies by… screaming. The game forces co-operation by having only one player at a time being able to scream at the flies while the other collects the souls necessary to keep the scream gauge full, switching roles when the player being able to scream dies. The objective is to kill as many flies as possible and get the highest score by collecting souls before being overrun by the flies. The was made by Anchel Labena (Zaragoza, Spain), Mattia Traverso (Rome, Italy) and K. Shonibare-Lewis (London, United Kingdom) in just 48 hours at the No More Sweden game jam in July 2012 in Malmö. The game was made using FlashDevelop and runs on all computers. 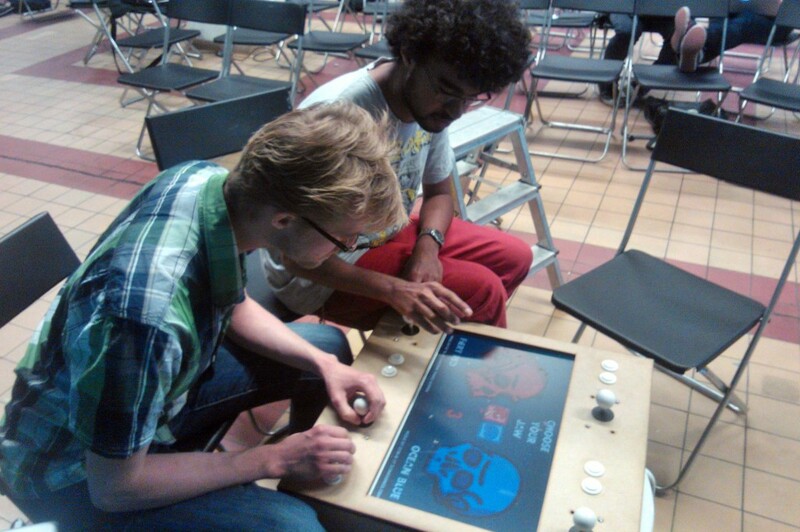 However the game was also designed to work hand by hand with an arcade machine used for testing at No More Sweden. eerrrmaghurd man kan se min väska i bakgrunden!